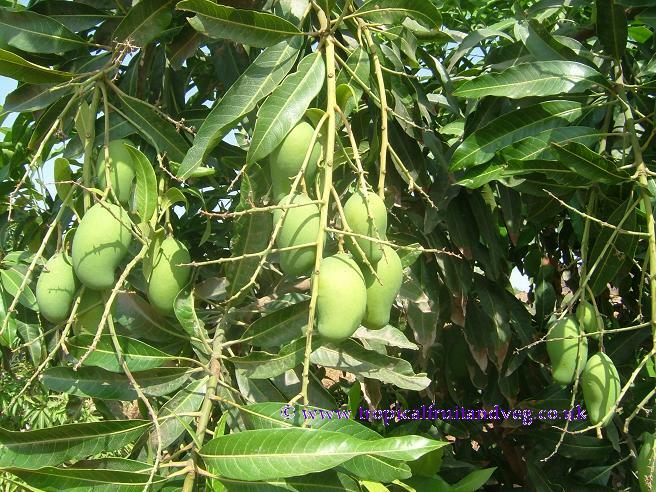 The mango tree is erect with a broad, rounded canopy which can attain 30-40 cm width and 20 m height. 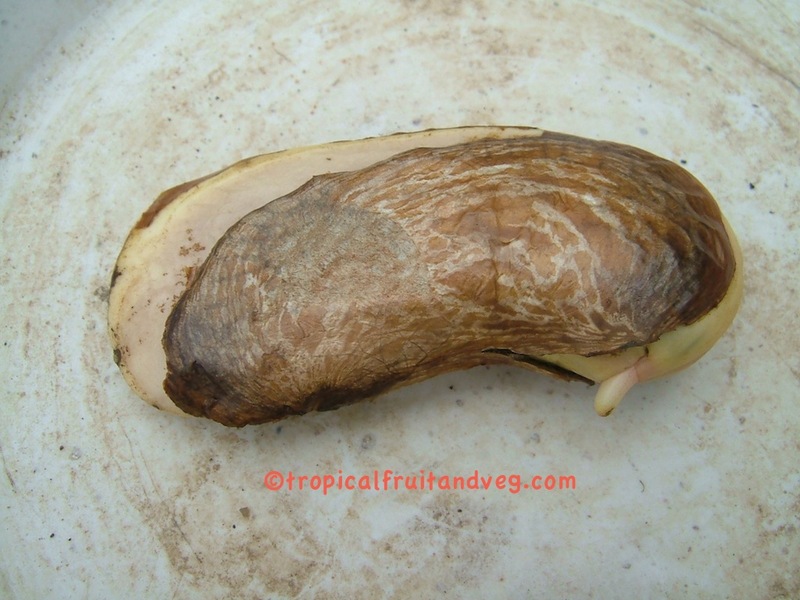 In deep soil, the taproot descends to a depth of 6 m, the profuse, wide-spreading, feeder root system also sends down many anchor roots which penetrate for several feet. The tree is long-lived, some specimens being known to be 300 years old and still fruiting. Nearly evergreen, alternate leaves are borne mainly in rosettes at the tips of the branches and numerous twigs from which they droop like ribbons on slender petioles. The new leaves are yellow, pink or wine-red, becoming dark-green and glossy above, lighter beneath. 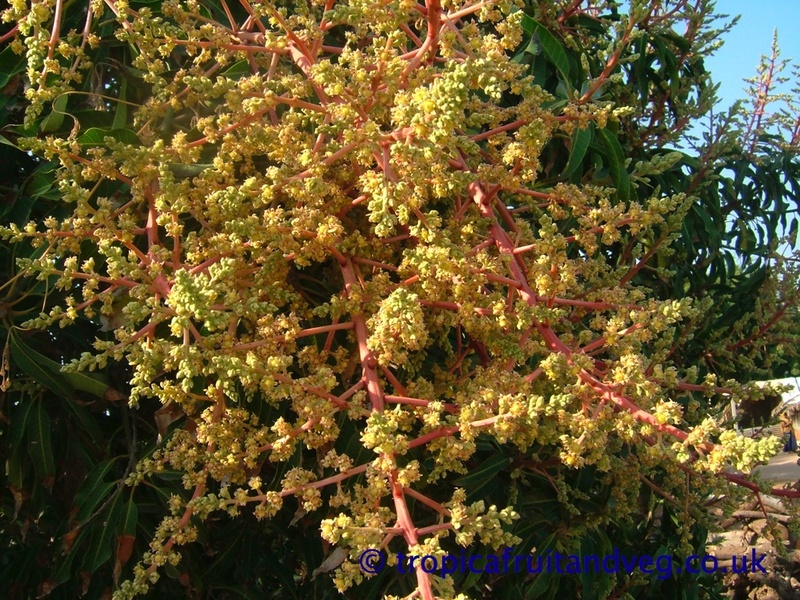 Each tree can produce hundreds and even as many as 3,000 to 4,000 small, yellowish or reddish flowers. 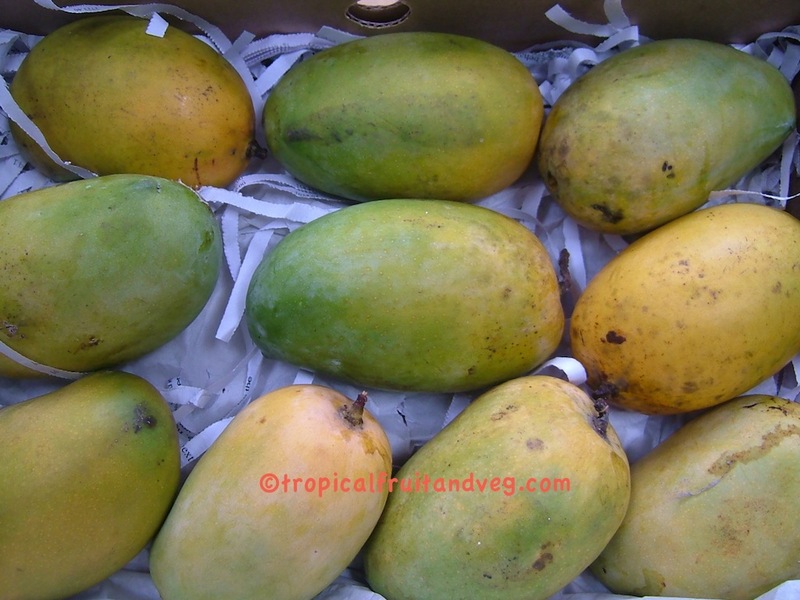 There is great variation in the form, size, colour and quality of the fruits. They may be nearly round, oval or kidney-shaped. They range from 6 - 25 cm in length and can weigh from less than 200 g to 2 kg. The skin is leathery, waxy, smooth, thick and aromatic and the colour ranges from light-or dark-green to yellow, orange, reddish-pink to dark-red or purple. Some have a 'turpentine' odour and flavour, while others are richly and pleasantly fragrant. The flesh ranges from pale-yellow to deep-orange. 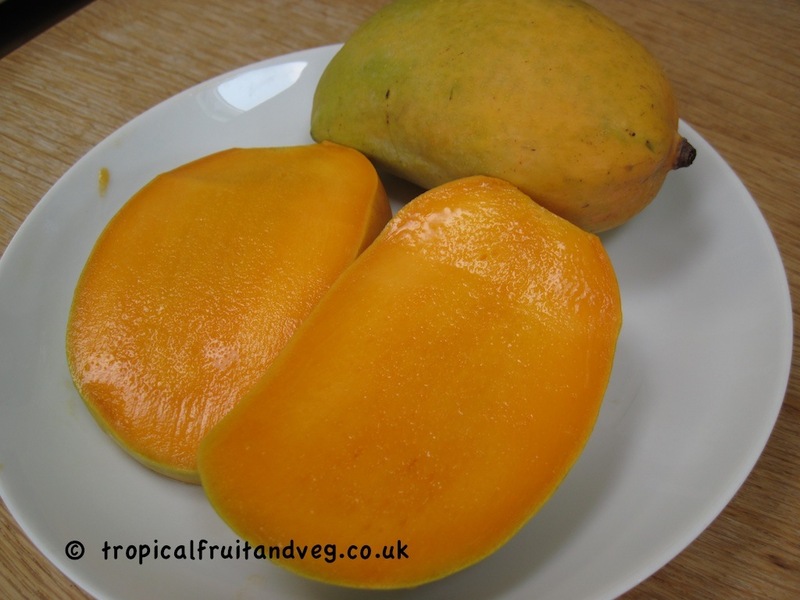 Of the many hundreds of varieties of mangoes that grow in warm climates worldwide, the most popular in the UK are the Alphonso, Kesar and Sugar - all imported from the Asian sub-continent. Other popular varieties in the UK include Tommy Atkins, Keitt, Haden and Julie which are sold by supermarkets and generally look good but are tasteless as they have been picked too early. 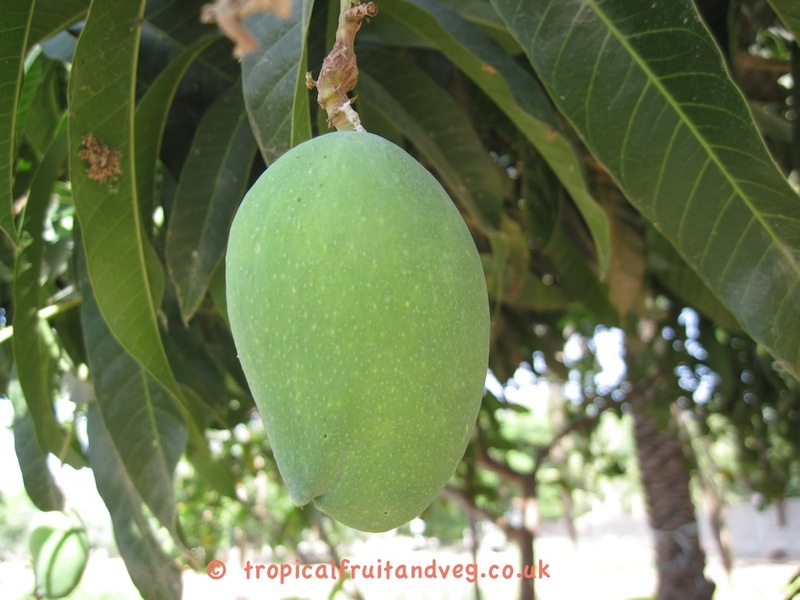 The mango is naturally adapted to tropical lowlands between 25�N and 25�S of the Equator and up to elevations of 1000 m. The best climate for mango has rainfall of 75-250 cm in the four summer months (June to September) followed by 8 months of dry season.Rain, heavy dews or fog during the blooming season are deleterious, stimulating tree growth but interfering with flower production and encouraging fungus diseases of the inflorescence and fruit. 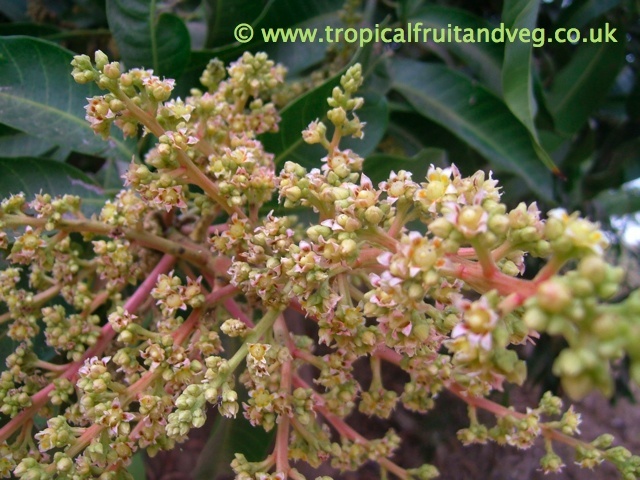 Strong winds during the fruiting season cause many fruits to fall prematurely. 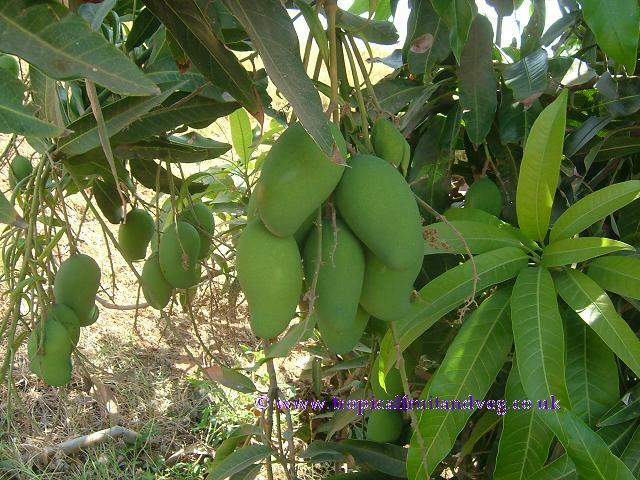 The mango tree is not too particular to soil type, providing it has good drainage. Rich, deep loam certainly contributes to maximum growth, but if the soil is too rich and moist and too well fertilized, the tree will respond vegetatively but will be deficient in flowering and fruiting.